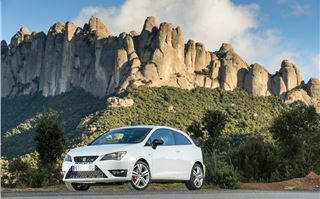 SEAT has always done hot hatches brilliantly and now one of its most iconic - the Ibiza Cupra - has had a facelift to bring it up-to-date with the rest of the Ibiza range. 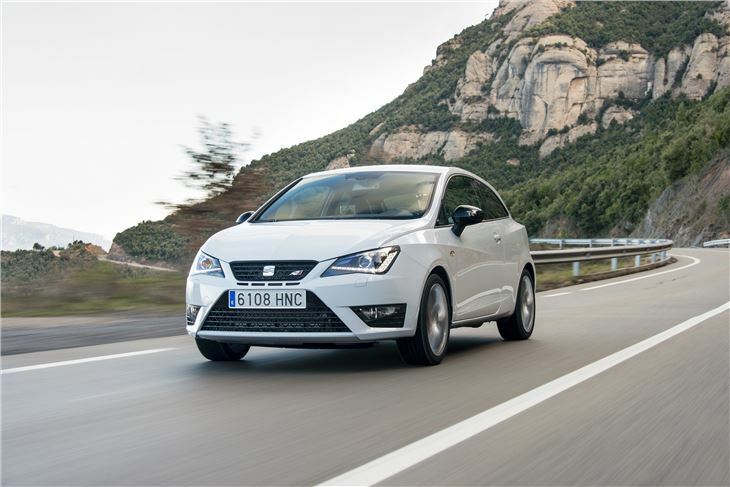 As facelift convention dictates, the front headlights have been redesigned and it's the most obvious cue that sets this Ibiza Cupra apart from the old model. 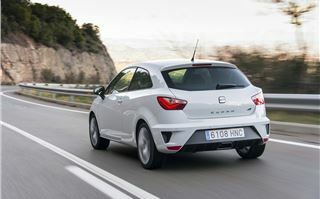 In come xenon headlights and SEAT's distinctive LED running lights; the rear lights get a similar treatment, too. Improved performance means that the thermostat on this hot hatch has been turned up a notch. 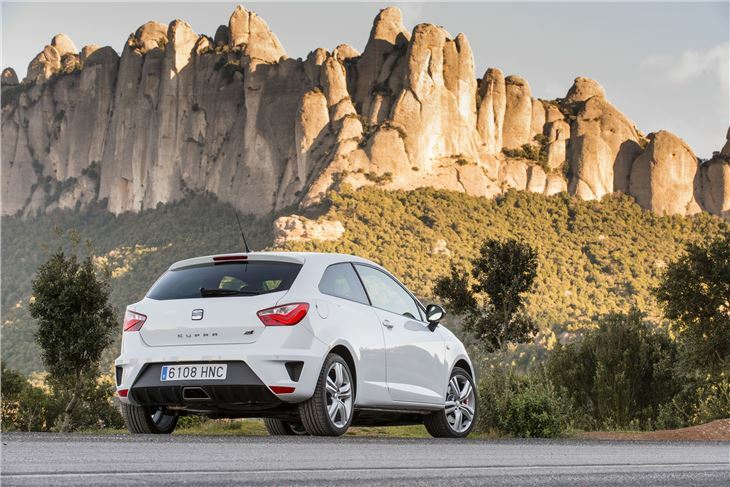 Thanks to a tweaked engine management system, the Ibiza Cupra's 0-62mph is down by 0.3 seconds to 6.9 seconds and the top speed is up from 140mph to 142mph. Power still comes from a 1.4-litre four-cylinder petrol engine producing 180PS. 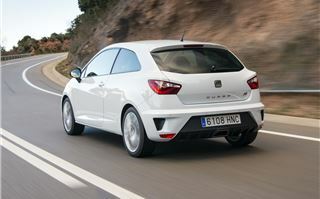 This is a TSI engine, so although it may sound on the small side compared to the 1.8-litre and 2.0-litre Ibiza Cupras of old, the combination of a turbocharger and supercharger means it packs quite a punch. 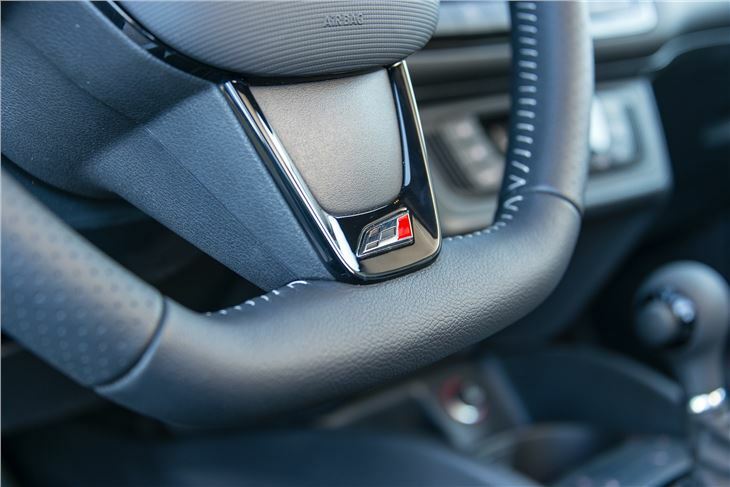 Peak power comes in at 6,200rpm and provides plenty of pull throughout the rev range, while maximum torque of 250Nm is available from 2,000rpm to 4,500rpm. 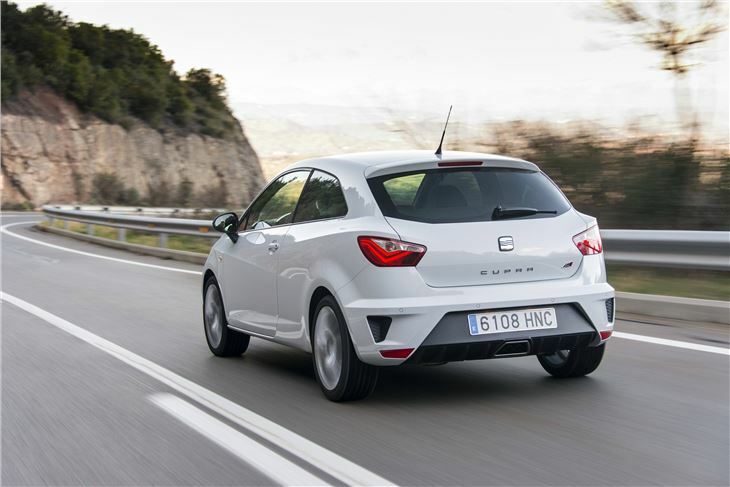 Combine this with the low growl of the exhaust note and the whoosh of a turbo waste gate and you've got a hatch hatch that sounds as good as the performance figures suggest. 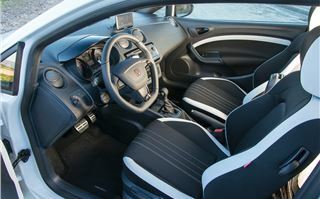 But it's not all about improved performance. One unexpected side-effect of the engine management tweaking is improved emissions. CO2 is down by 8 per cent. Doesn't sound a lot, but it's enough to bring it down to 139g/km and from Road Tax Band F to E with a resulting £15 VED saving (2012/2013 rates). 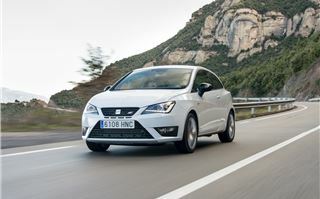 Official fuel consumption is improved too, up to 47.9mpg. 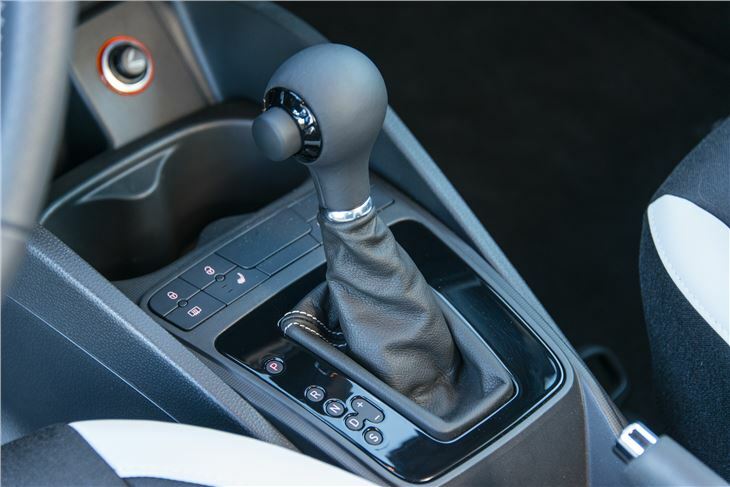 There's just one gearbox on offer and that's Volkswagen's seven-speed dual-clutch. Around town it's great and you barely notice the shifts, but at faster speeds - and in manual mode - it does have a habit of jumping gears when you don't want to. 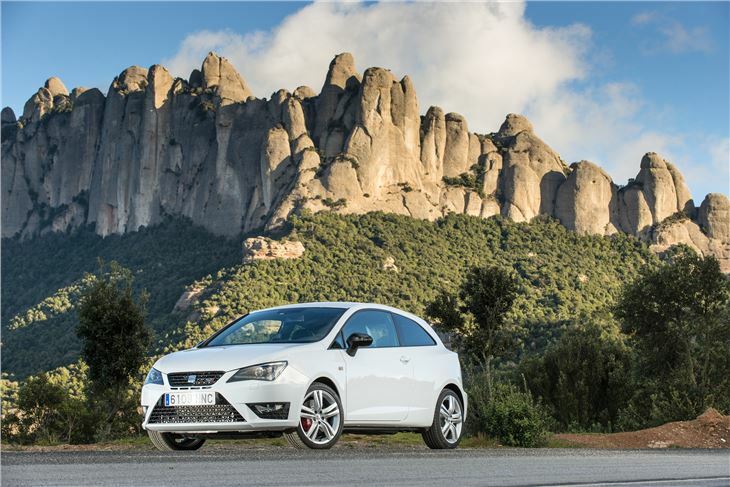 Out on the road, there's little to choose between this Ibiza Cupra and the old one. 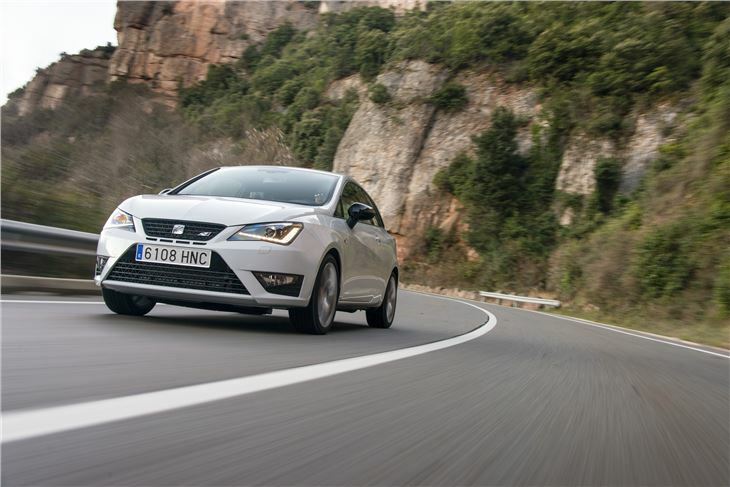 It remains particularly impressive when it comes to handling, with flat cornering, quick (though a little too light) steering and plenty of grip. 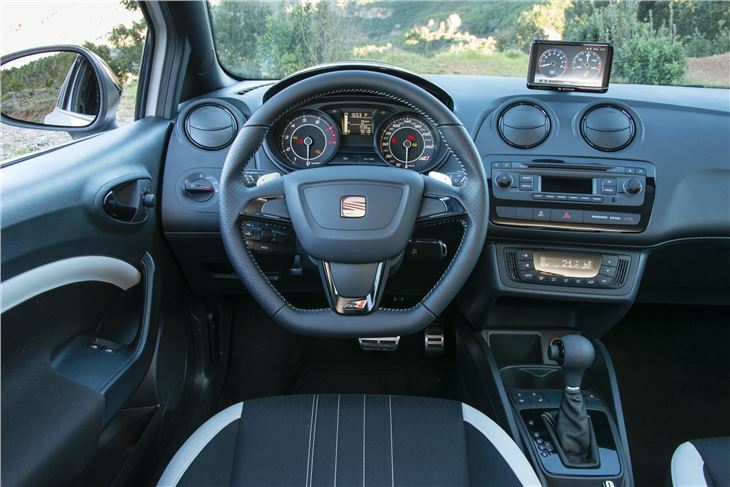 It also gets the XDS electronic differential as standard. Subtle improvements to the way it rides means that it loses some of the crashiness that blighted the previous version - possibly due to a new rear axle - and overall it does a better job of soaking up the lumps and bumps of an uneven road, although the ride does remain firm. The cabin continues to be a bit of a let-down. There's too much in the way of cheap-looking plastics and not enough to mke you think you're behind the wheel of something special. 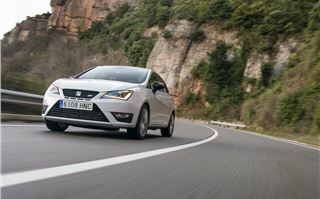 The MINI Cooper S does a good job of this and even basic Ford Fiesta models have a good-looking dash, but the Ibiza Cupra feels just a little ordinary. 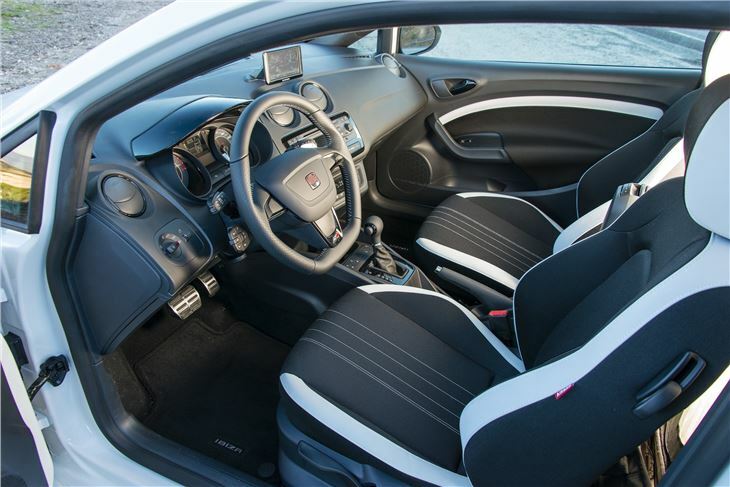 That said, the sports seats look smart and offer plenty of support, plus there is a standard Navigon-developed portable sat nav device that can be hooked-up to tablets and other devices via Bluetooth to play music files. 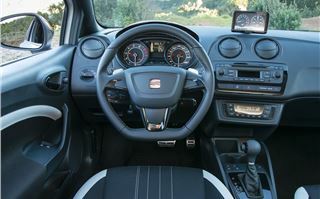 Aside from that the cabin is comfortable, with little wind and road noise and a decent amount of room up front. 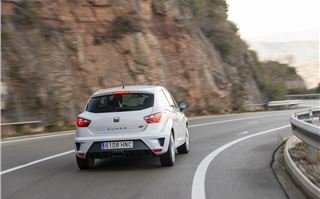 All-in-all these latest changes keep the Ibiza Cupra toward the front of the small hot hatch pack. It's just as well. 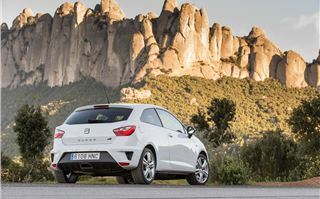 With some very good newcomers on the horizon - not least the £17,995 Ford Fiesta ST-2 and Clio Renaultsport - and some very strong existing hot hatch competition, buyers have never had it so good.